I really love jewelry and personalized gifts so I was thrilled to get the chance to check out Mama's Jewelry! I received a free product in exchange for my honest opinion, all opinions are my own! 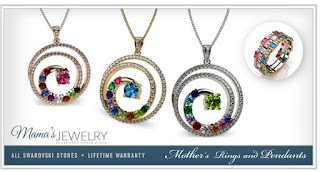 Mama's Jewelry is a site developed by Central Diamond Center to bring customized, gemstone jewelry (often referred to as Mother's Jewelry, Family Jewelry or Birthstone Jewelry) to you with an easy-to-use ring and pendant builder so you can see exactly what your special piece of jewelry will look like when you receive it. 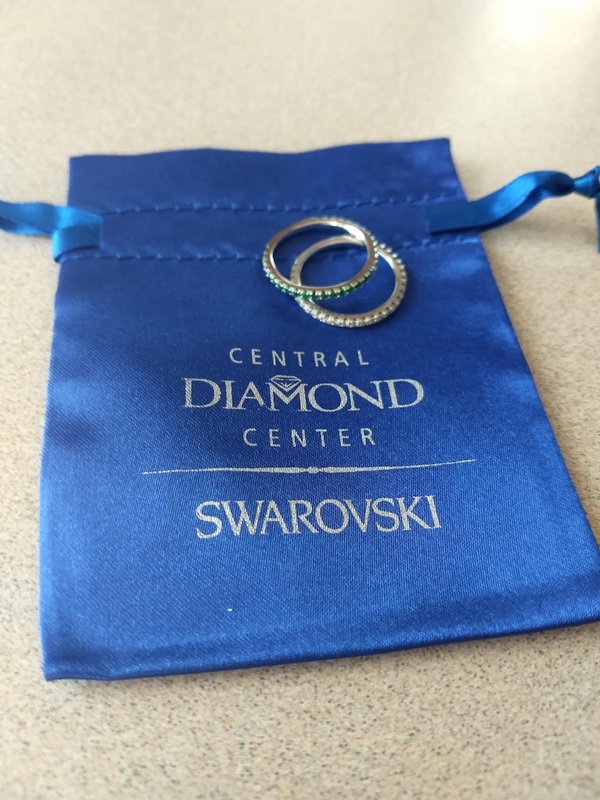 I was so excited to check out the site and order my jewelry. The ordering process is so straight forward, plus they show you exactly how everything will look! I decided to go for stackable rings. I prefer dainty jewelry and this was right up my alley! 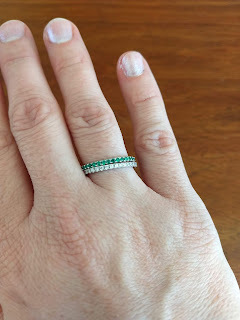 I already have two of their stackable rings and was thrilled to add another to my collection. They look amazing together! I love how you can just wear one or stack several! My rings arrived in a very pretty sachet which would be great for a gift. You can Stack up to eight beautiful rings. Mix and match metal and stone types for a completely unique look. Available in Platinum Plated Sterling Silver, Yellow Gold plated Sterling Silver, Rose Gold Plated Sterling Silver and 10k or 14k Yellow, White, or Rose Gold. 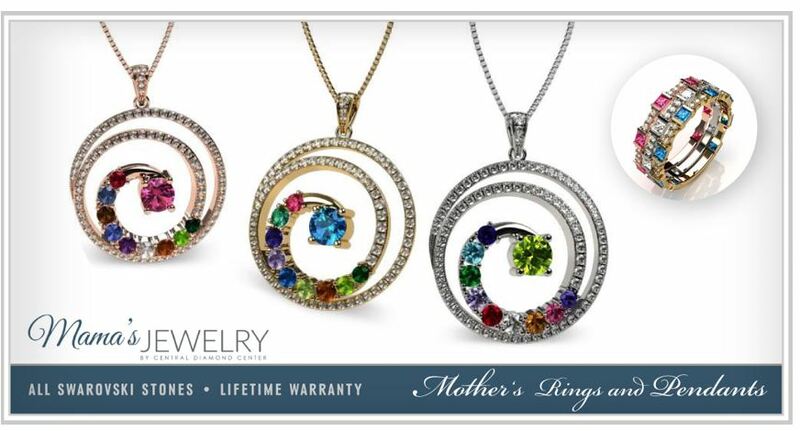 The rings are so elegant and terrific for all ages. They would make such a wonderful gift!